Taxpayers have both good news and bad news coming their way in 2018. First, the bad: Getting some refunds this year might take slightly longer than in prior years. So, what’s the silver lining? There may be less fraud than in the past, thanks to new strategies put into play by tax preparers, states and the IRS. 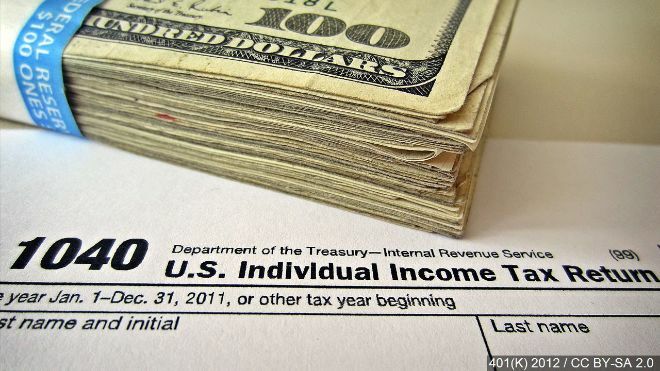 Increasing numbers of taxpayers have found themselves scammed or defrauded by criminals who have filed false tax returns, prompting the Treasury Inspector General for Tax Administration to warn last year that the IRS could lose as much as $21 billion due to identity theft. To fight the rampant problems, the IRS, states and the tax prep industry are adding increased protections with the goal of making it tougher for someone else to claim a filer’s refund. But those protections may slow down the processing of returns, which could result in some longer waits for refunds. While states will vary in the amount of time they require to cut refund checks, the IRS says 9 out of 10 taxpayers will receive their refunds within 21 days of filing, a rate that’s similar to past years. The IRS has been working on upgrading its systems, while also creating a public campaign to encourage consumers to protect their data. All tax software products will have new standards for logging in, including new security questions, the IRS said. Tax preparation software will also include 20 new data points aimed at helping states and the IRS to detect fraudulent filings. “A tax return can look very much like a legitimate taxpayer, so a wide variety of changes have been taking place in recent years,” Smith said. “That has been institutionalized and made more across-the-board in the past year. There is a new level of sharing and cooperation between the IRS,” states, and tax preparers. Some preparers, for instance, may ask customers to confirm their identities by showing their drivers’ licenses, Smith added. And if customers change their password on a tax site, they may be asked to respond to a text on their mobile phone. Other changes include more paper checks, given last year’s favorite fraudster technique of gaining access to others’ refunds by submitting a fraudulent request for the money to be sent to them on a prepaid debit card, Bloomberg News reports. Utah, which was hit by fraudulent returns last year, will direct deposit refunds only to taxpayers’ bank accounts or to prepaid debit cards issued by the taxpayers’ banks. Still, the best method to ensure quick delivery of your tax refund is a fairly simple one, Smith noted: file before the end of January.